Tough, top quality seed trays that will give you years of good service. Now (bar quarter size) with strong rims for extra rigidity and improved 2 tier drainage. Half size Trays: 22 x 16 x 5cm (8½ x 6 x 2"). PACK of 5. 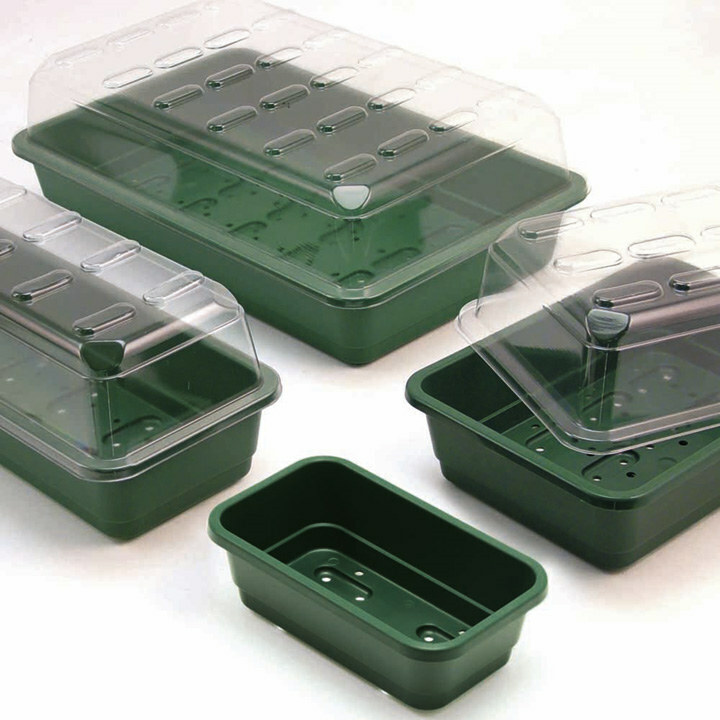 Half size lids for these trays available separately.